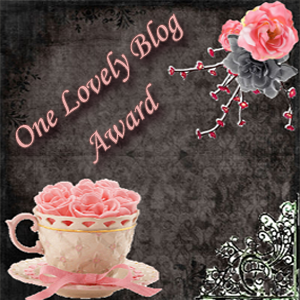 So, I have been tagged several times these past weeks and I also received an award…How fitting to receive the Lovely Blog Award from the lovely Jaime (and if you do not follow her blog, you really should because it´s a treat!) Thanks again! Now, on to the tagging business. I have been taggboozzled (reference to Friends – because well, there´s always a possibility to refer to Friends). In the past week, not one, not two but six wonderful bloggers tagged me. Really, you should go and pay them a visit, it´s worth it…I promise. 1. Think of one person you aren’t able to see for whatever reason (distance, availability, etc.) you would love to meet up with. Who is this person? This can be a famous person, a relative, a literary agent–anyone, as long as they are alive. 2. If you were a crayon, what colo(u)r would you be, and why? Blue. Like the sky. Like hope. Like happy. 3. When you get (or got) “the call” from an agent, who will be (or was) the first person you will tell (or you told)? My hubby would be the first person I would tell. I´m not sure he´ll understand the words coming out of my mouth though, I might be a tad over the moon. I recently finished the first draft of a YA paranormal romance and I started a YA contemporary romance. 5. What is your secret weapon of choice? 6. If you could sit down for coffee with any historical figure, who would it be? Louis XIV – I have a healthy fascination with this period. 7. What was the #1 song the day you were born? 8. If you could speak a (another) foreign language which would it be? 9. Which series are you eagerly anticipating the newest release for? 10. Keeping with the foodie theme, what’s your signature dish? Something you make that blows people away and that you luuuuurve. 11. What’s something that made you smile today? If you´d like, you can use those questions on your blog as well 😀 Just let me know in the comments. Otherwise, tell me: what foreign language would you LOVE to learn? Awesome! Love your mashup of questions and answers! Nice to meet all you fellow taggers! Great selection of questions! This has been such a great way to get to know so many new people! Good luck with Spanish, I´m sure you can do it! Great questions! I like the sound of Aussie Chicken. Maybe without the mustard for me but everything else sounds yum! Thanks for the mention, Elodie 😀 And I just discovered that our birthdays are back to back (mine is August 19th)! As for foreign language I’d love to learn, my answer is two-fold: 1) I’d love to learn more German and become fluent, and 2) I’d love to learn Gaelic. Great to learn more about you! P.S. Are you taking part in the next round of Change Write Now? I’m really tempted to join but I’m worried about the fact that we’re in the UK for half of May (tough to keep up on vacation). Thanks 😀 I miss my grandma…that´s the difficult part about living in a different country than my family. I love your secret weapon. Isn’t it amazing what a smile can do?! LOVE question #3…I’ve dreamed of that moment. It’s always screaming. And crying. hahha. So, basically we should interact in French from now on, non? Awesome!! Love your favorite weapon–smile.